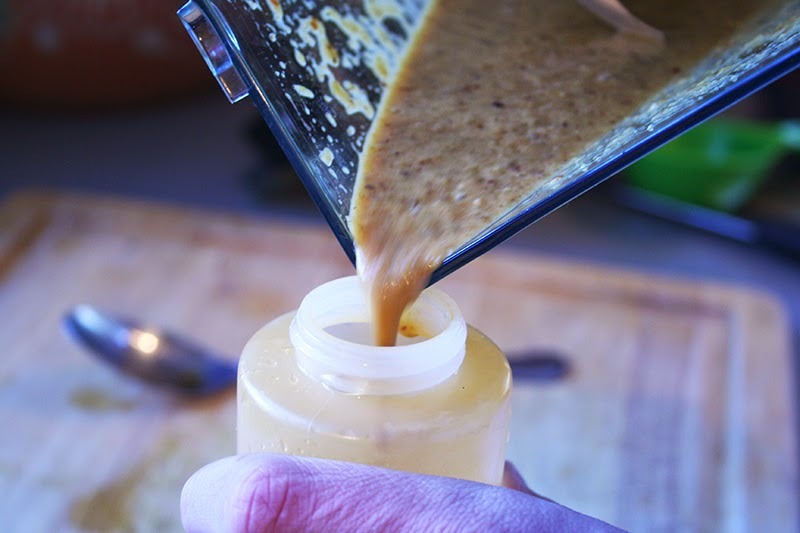 Pouring the blended salsa into a kitchen squirt bottle. This is a Rick Bayless recipe. 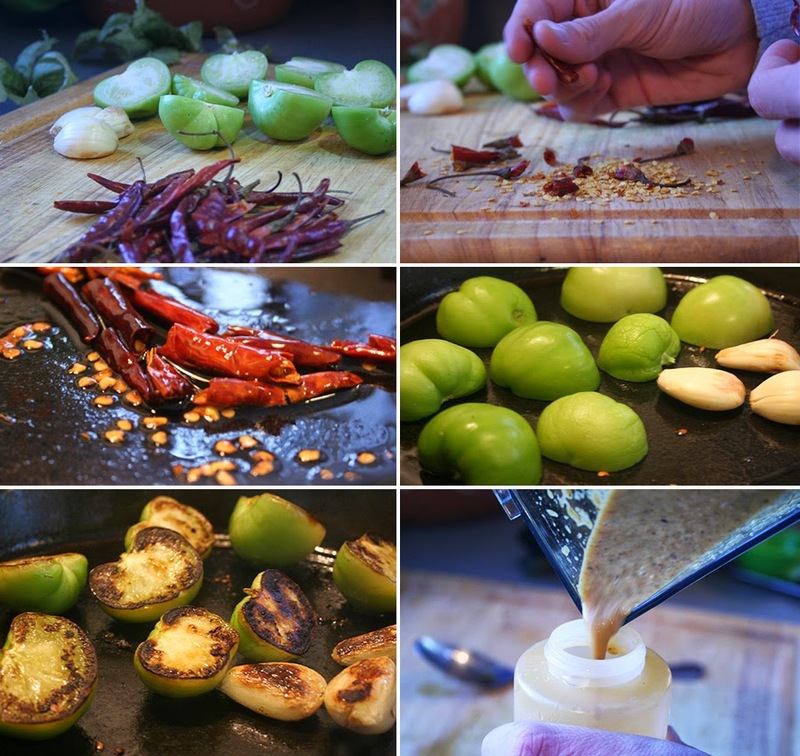 It’s a spicy twist on tomatillo salsa. The arbol chiles pack a little punch. Careful when you’re making this. There’s a bit of a sting in the air when you’re frying the chiles. 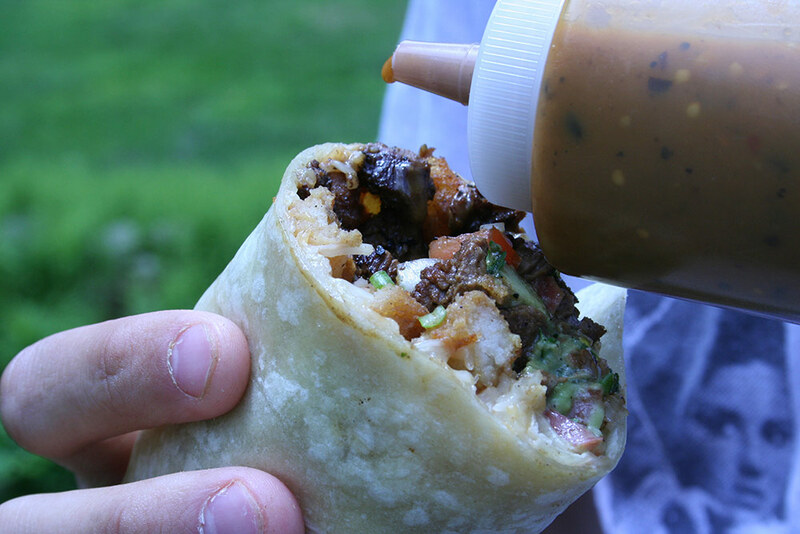 The salsa works great on tacos. It’s awesome on chicken. Heat the oil in a large skillet over medium heat. Break the stem off the chiles and break the chile in half. Dump out the seeds and rub the chile between your fingers to loosen seeds that are stuck. It’s ok if you don’t get all the seeds out. Add chiles to hot oil and cook for 30 seconds stirring constantly. 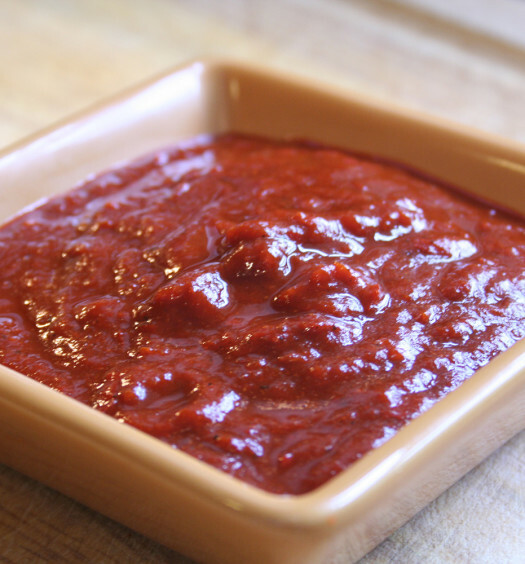 Using a slotted spoon, remove the chiles to a blender. Add the garlic and the tomatillo halves (cut side down) to the pan. Cook for 3 minutes and flip. Cook another 3 minutes. Add cooked garlic and tomatillos to the blender. Add 3/4 cup water, honey and a pinch of salt. Blend. If you’re going to add this to a squirt bottle, it should pour easily. You may need to add a bit more water.